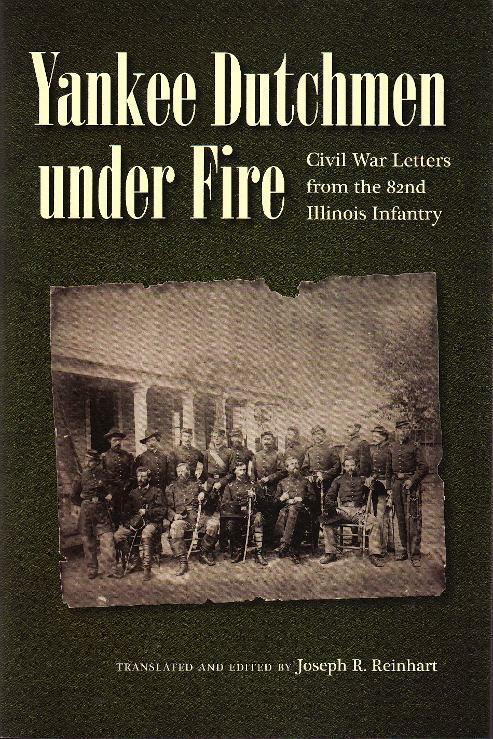 82nd Illinois Infantry — "2nd Hecker Regiment"
Yankee Dutchmen under Fire: Civil War Letters from the 82nd Illinois Infantry was published by Kent State University Press in Oct. 2013. "What a superb job you did bringing this unit out of obscurity. The letters you uncovered are really outstanding. I know the veterans of the 82nd would be proud of your work"
Organized at Springfield, Ill., and mustered in October 23, 1862. Moved to Washington, D.C., November 3-9. Attached to: 1st Brigade, 3rd Division, 11th Army Corps, Army of the Potomac, to October, 1863. 3rd Brigade, 3rd Division, 11th Army Corps, Army of the Cumberland, to April, 1864. 3rd Brigade, 1st Division, 20th Army Corps, Army of the Cumberland and Army of Georgia, to June,1865. Moved to Fairfax Court House, Va., November 19, 1862, thence to Stafford Court House December 11. Near Aquia Creek, Va., December 19 to January 20, 1863. "Mud March," January 20-24, 1863. At Stafford Court House, Va., until April 27. Chancellorsville Campaign April 27-May 6. Battle of Chancellorsville May 1-5. Gettysburg (Pa.) Campaign June 12-July 24. Battle of Gettysburg, Pa., July 1-3. Pursuit to Manassas Gap July 5-24. Duty along Orange & Alexandria R. R. until September. Movement to Bridgeport, Ala., September 25-October 4. Operations in Lookout Valley October 19-26. Reconnaissance to Trenton October 20. Reopening Tennessee River October 26-29. 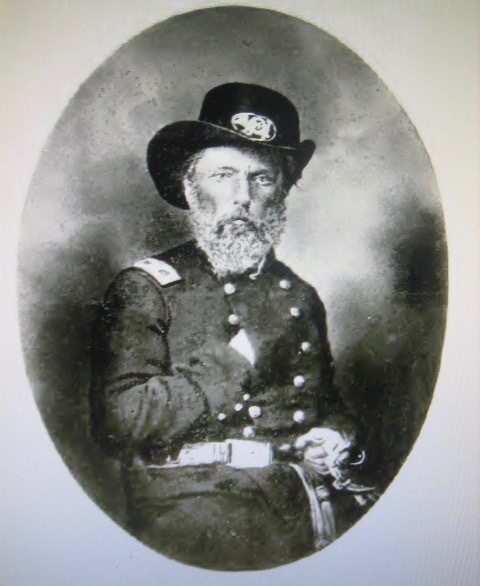 Battle of Wauhatchie, Tenn., October 28-29. Duty in Lookout Valley, Tenn., until November 23. Chattanooga-Ringgold Campaign November 23-27. Orchard Knob November 23. Tunnel Hill November 24-25. Mission Ridge November 25. Pursuit to Cleveland November 26-27. March to relief of Knoxville November 29-December 17. At Whitesides, Tenn., until May 3, 1864. Atlanta (Ga.) Campaign May 3-September 8. Battle of Resaca May 14-15. Near Cassville May 19. New Hope Church May 25. Battles about Dallas, New Hope Church and Allatoona Hills May 25-June 5. Gilgal (or Golgotha) Church June 15. Smyrna Camp Ground July 4. Occupation of Atlanta September 2-November 15. Expedition to Tuckum's Cross Roads October 26-29. Campaign of the Carolinas January to April, 1865. Battle of Averasboro, Taylor's Hole Creek, N. C., March 16. Battle of Bentonville March 19-21. Occupation of Goldsboro March 24. Advance on Raleigh April 10-14. Occupation of Raleigh April 14. Bennett's House April 26. Surrender of Lee and his Army. March to Washington, D.C., via Richmond, Va., April 29-May 19. Regiment lost during service 4 Officers and 98 Enlisted men killed and mortally wounded and 60 Enlisted men by disease. Total 162. From Dyer's Compendium. COL. FRIEDRICH HECKER, From Reminiscences of Carl Schurz, vol. 3. Approximately 125,000 Jews were living in the Union states at the time of the American Civil War, most of whom were natives of Germany or of German ancestry. An estimated 5,000 to 7,000 Jews fought for the North during the conflict, but less than three percent of these soldiers banded together in separate Jewish companies. Only the 82nd Illinois Infantry and 149th New York Infantry Regiments contained a Jewish company. This presentation will discuss the unique Jewish company of the 82nd Illinois Infantry: the reason it was created, the role of Jewish civilian leadership in its organization, its combat leaders, anti-Jewish prejudices, and some of the incidents reported in letters published in the Illinois Staats-Zeitung, Chicago’s leading German- American newspaper. The 82nd Infantry was originally commanded by Forty-eighter Friedrich Hecker; later, Lt. Col. Edward S. Salomon, a Jew, headed the combat unit. The regiment fought at Chancellorsville in Virginia and Gettysburg in Pennsylvania, and it participated in Maj. Gen. William T. Sherman’s Atlanta Campaign, the March to the Sea, and the Carolinas Campaign. 82nd Illinois Infantry Monument at Gettysburg Battlefield. Visit Eric Benjaminson's 82nd Illinois Web Site. 5th Kentucky Volunteer Infantry—"the Louisville Legion"